The environmental movement has been described as “the most comprehensive and influential movement of our time” (Castells, 1997: 67), representing for the “post-industrial” age what the workers’ movement was for the industrial period. While strike statistics have been collected for many countries since the late nineteenth century and are currently tracked by the World Labour Organization, until the beginning of this research project there has been no attempt to track the occurrence and frequency of mobilizations related to environmental issues. The Global Atlas of Environmental Justice (EJ Atlas) was conceived to address this gap. The EJ Atlas traces the outline of an emerging global movement for Environmental Justice through its localized manifestations (Martinez-Alier et al., 2016). It currently documents over 2100 cases of ecological conflicts around the world (as of May 2017). Each point in the atlas represents one conflict, defined as local mobilization or protest against an environmentally destructive activity or policy. Each case or data-sheet, is documented by an organization or an activist scholar involved in the resistance. Each case outlines the history, actors, impacts, claims and outcomes of the conflict and also provides photos, references, and links (for a description of the project see Temper et al., 2015). The atlas aims to make visible protests against environmental pollution and degradation through participatory counter-hegemonic cartography involving scholar-activists, civil society and academics. By telling the stories of those fighting on the ground to preserve the environment, we aim to show that these grassroots activists on the front lines are putting forward a vision for a truly sustainable economy. Unfortunately, for this work they are often also putting their lives on the line. As Global Witness (2016) reports, environmental activists were murdered at a rate of 3 per week last year. This makes bringing attention to these struggles all the more urgent. The atlas is also a contribution to understanding the drivers and interconnections between conflicts on a global scale. Most research on such conflicts is undertaken at either the case study level or sometimes at a national or regional level and focuses on specific areas or activities. The EJ Atlas offers a tool for meta-analysis that can transcend individual cases in order to identify patterns, relationships among cases and actors and how such conflicts are shaped by the larger political economy. In addition to the global scale, the methodology for data gathering is also a unique aspect of the EJ Atlas. Environmental Justice was a community-led science from the beginning. By drawing on the concept of activist knowledge, the harvest of data in the mapping process was carried out by the communities themselves, as a form of citizen science and popular epidemiology (Escobar, 2008). In fact, as many researchers in EJ studies engage with communities through processes of Participatory Action and Collaborative Research (Bacon et al., 2013), such forms of engagement attempt to more actively include communities in the process of knowledge production. The researchers hereby recognize the communities as producers of knowledge in their own right rather than merely objects of study (Casas-Cortés et al., 2008). There is a need for developing “science with the people” rather than for the people, especially in those fields characterized by “irreducible uncertainties and ethical complexities” (Funtowicz & Ravetz, 1994: 198). As such, this research is not focused on studying a movement or a specific group of people, but to study together with them and based on an “ecology of knowledges”, as Boaventura de Souza Santos (2007) suggests. While needs of collaboration are often acknowledged both by scholars and activists, so far there was not a space of interaction enabling collaborative research on EJ conflicts on a global scale. This is precisely what the EJ Atlas collaborative Research Initiative advocates. The EJ Atlas mapping process has further sought to integrate the knowledge of several already existing platforms in order to draw on previous work from both activists and scholars. These initiatives include the Map of Environmental Injustice in Brazil, supported by the Fundacio Oswaldo Cruz (FIOCRUZ), the Centro di Documentazione sui Conflitti Ambientali (CDCA), the Latin American Observatory of Mining Conflicts (OCMAL), Genetic Resources Action International (GRAIN), World Rainforest Movement (WRM) and Oilwatch. These initiatives continue to support and document community struggles globally against extractivism, mining, tree plantations, deforestation and, fossil fuel extraction and towards food and energy sovereignty as well as climate and Environmental Justice. the Practice and Theory of Environmental Justice The unit of analysis is a well-documented project-based campaign or place-based struggle, which sometimes results in influential national protest events or broader campaigns. These contestations are made visible through press reports and court cases, campaigning, petitions, meetings, demonstrations, boycotts, strikes, threats, civil disobedience, collective violence and other action forms. 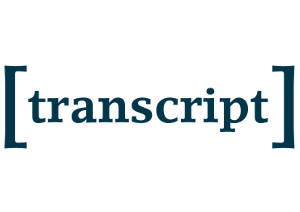 For each conflict, two or three pages of detailed information are available, as reported by over 100 collaborators at present, from Environmental Justice Organizations (EJOs) or academics and graduate students working on the ground or from secondary sources about that issue. A laborious moderation process, facilitated by the Institute of Environmental Science and Technology (ICTA) and Universitat Autònoma de Barcelona (UAB), assures quality and consistency of each entry before being published online (for more details see Temper et al., 2015). The form, conceived after several decades of research on extractive industries and related conflictivity and collaboration with activist groups, is framed around the type of activity, commodity extracted and actors involved (companies, international or finance institutions, etc.). It focuses on the project itself, on the features of the mobilization, resistance or campaign, on the impacts and on the outcomes. The initial form has been slightly adjusted and improved during the lifespan of the mapping project, following advice and feedback from activists through an iterative process. This highlights how the EJ Atlas is a living document and a tool that can be adapted to new needs during its implementation and use. At the end of the project it can be said to be one of the most exhaustive databases with more than 100 fields, including both multi-choice and free text boxes. • By integrating further activist knowledge into analysis to contribute to the theoretical development of EJ and through new forms of knowledge co-production. • Through a multi-scale framework that allows a wider geographical analysis of relationships and interconnections between actors, struggles as well as financial and energetic flows. Such a framework can help discern the coalitions of power that produce and benefit from prevailing patterns of production and consumption. It can also highlight the groups that suffer the most and in doing so provide a useful point of departure for constructing coalitions or policy-based interventions in order to protect the rights of vulnerable groups. • A geographical perspective that through geo-location and cartographic data allows an interface between the natural and social sciences, by integrating features of the territory and social, institutional and cultural processes into social analysis. After collecting so much information about conflicts and resistances across scattered locations, there is a need to make sense to those dots and their interconnections and to understand them in their historical and geographical context. Featured maps aim to be visual tools to tell stories and explain such interconnections across space and time. Hosted on our online platform, they include a curated selection of conflicts around a specific thematic issue or regional focus, along with additional relevant data and vector layers on the map to visualize the situation better. In the following we want to give an insight into our featured map projects. The map of Environmental Injustices in Turkey was the first featured map to be developed. It was still under construction when the mobilization at Gezi Park happened and was exhibited on a tree during the demonstrations in June 2013. It was later on further developed and published online in Turkish. It contributed to a critical discussion in the Turkish media and civil society about contested large infrastructure projects in the country. The Fracking Frenzy map draws from the report Fracking Frenzy by Friends of the Earth and presents 30 conflicts and mobilization by “Fracktivist” movements around hydraulic fracturing activities across the world. Along with geo-spatial data on the reserves, extraction concessions and companies operating in the country, it shows any additional data on impacts on the groundwater. The Climate Debt map shows all fossil fuels and Climate-Justice-related conflicts and highlights the spatial mal-distribution of climate change sources. It displays CO2 emissions per capita and a climate change vulnerability index as well as the total carbon debt/ claim of 154 countries in 2011 in million tons of CO2 as calculated by Rikard Warlenius, Human Ecology, Lund University. The Mining Conflicts in Latin America map is related to the mining boom Latin America has experienced in the last four decades. This map displays how the expansion of the metal mining frontier overlaps with environmental (biodiversity hotspots, forests) and socially sensitive areas (water resources, peasant and indigenous lands) and the related conflicts. Forty percent of these conflicts have seen violent repression or criminalization of activists. The map integrates data from the Global Witness report “Deadly Environment”, highlighting how environmentalists are being targeted for their defense of the environment. The Chevron map shows more than 30 cases of conflict worldwide due to Chevron activities, an emblematic example of corporate violation of human rights against people as well as of corporate impunity. Moreover, according to a study published in Climatic Change, Chevron is the company which contaminated the planet most with its carbon dioxide emissions during a period of 150 years (Ekwurzel et al., 2017). The aim of this map is therefore to show major conflicts concerning extractive activities led by the Chevron Corporation as well as people’s resistance and struggles against it. This map is the result of a collaborative project between the EJ Atlas research team at ICTA UAB, the Unión de Afectados por Texaco – UDAPT, and A SUD Ecologia e Cooperazione ONLUS and CDCA Centro di Documentazione sui Conflitti Ambientali, Italy, and was created as a campaign tool for the Global Anti-Chevron Day held each year on May 21st. It was used during the 2016 shareholders’ assembly by one of the UADPT lawyers to show the systemic nature of the environmental and human rights violations perpetrated by the company. An Italian sub-platform (atlanteitaliano.cdca.it) was developed with the active involvement of local committees involved in environmental conflicts in the country through the implementation of a participatory tool for citizens. The Italian Atlas was also presented on the 14 April 2015 at the European Parliament where meetings were held with Parliamentarians in order to discuss how to address the issues raised. In addition, meetings with local committees were held in order to network, discuss and improve the participatory process and the atlas as a political tool. Through the cooperation with EJOs and their networks in a “hybrid research collective” we hope to further develop and to contribute to the concept of a global EJ movement. As this movement is already growing, we hope that it will continue to cohere globally, to formulate more strategic positions and be more inclusive at the same time as it takes on local nuances. We hope to be able to describe these processes and to analyze new concepts coming from the grassroots movements and to roughly map the patterns in the participation of women, of indigenous peoples, of labour unions and religious groups, and their different ways of intervening in conflicts of Environmental Injustice. As conflicts intensify, especially along the commodity extraction frontiers and through the creation of new commodities, we aim to research, exchange and disseminate more information. Our hope is that the EJ Atlas can serve as a tool which can benefit from case studies but also go beyond them, for fruitful comparisons across time and space. Beyond research in political ecology, the map aims to be socially and politically relevant by “naming and shaming” the actors behind injustices. It is furthermore supposed to serve as a tool for activists by illustrating critical environmental issues and encouraging public debate over the distribution of risks, burdens and benefits as well as the claims of local communities and their visions for what Environmental Justice looks like. Bacon, C., de Vuono-Powell, S., Frampton, M.L., LoPresti,T. & Pannu, C. 2013. Introduction to Empowered Partnerships: Community-Based Participatory Action Research for Environmental Justice. Environmental Justice, 6(1): 1-8. Casas-Cortés, M.I., Osterweil, M. & Powell, D.E. 2008. Blurring Boundaries: Recognizing Knowledge-Practices in the Study of Social Movements. Anthropological Quarterly, 81(1): 17-58. Escobar, A. 2008. Territories of Difference: Place, Movements, Life, Redes. Durham: Duke University Press. Funtowicz, S.O. & Ravetz, J.R. 1994.The Worth of a Songbird: Ecological Economics as a Post-Normal Science. 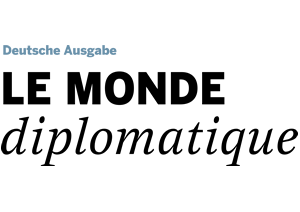 Ecological Economics, 10(3): 197-207. Global Witness ed. 2016. On Dangerous Ground. globalwitness.org/en/reports/ dangerous-ground, 13 January 2018. Martinez-Alier,J.,Temper,L.,Del Bene,D.& Scheidel,A.2016.IsThere a Global Environmental Justice Movement? The Journal of Peasant Studies, 43(3): 731-755. Temper, L., Bene, D. del & Martinez-Alier, J. 2015. 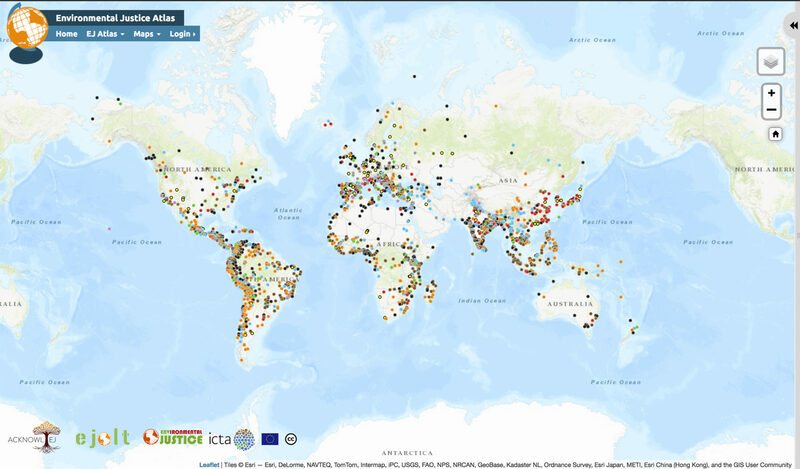 Mapping the Frontiers and Front Lines of Global Environmental Justice: the EJAtlas. Journal of Political Ecology, 22(1): 255-278. Map ‘World Map’ in galery by EJOLT, ACKnowl-EJ and ENVjustice Projects – Collaborative Research Projects led at ICTA, Universitat Autònoma de Barcelona. Photograph ‘An oil spill in Bodo, the Niger Delta’ by Leah Temper. 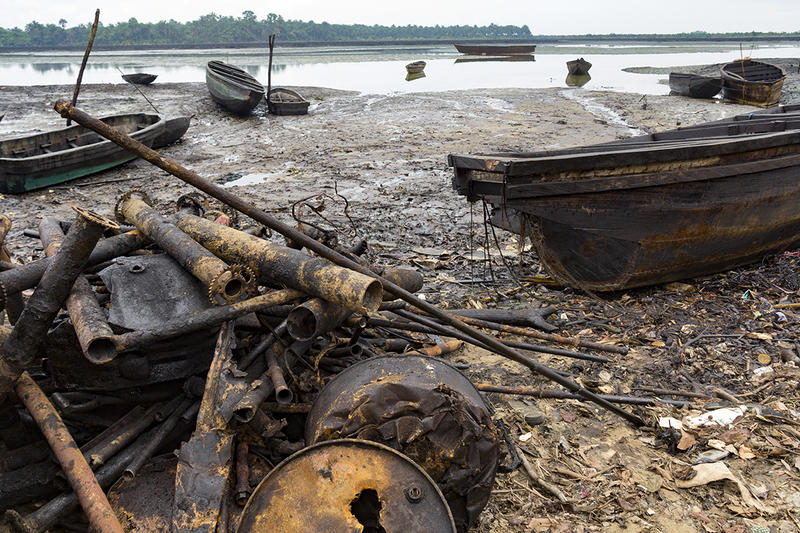 Shell’s operations in the Delta have seen over fifty years of pollution, community protests and state violence.The Niger Delta is one of the most biodiverse and polluted places on the planet. 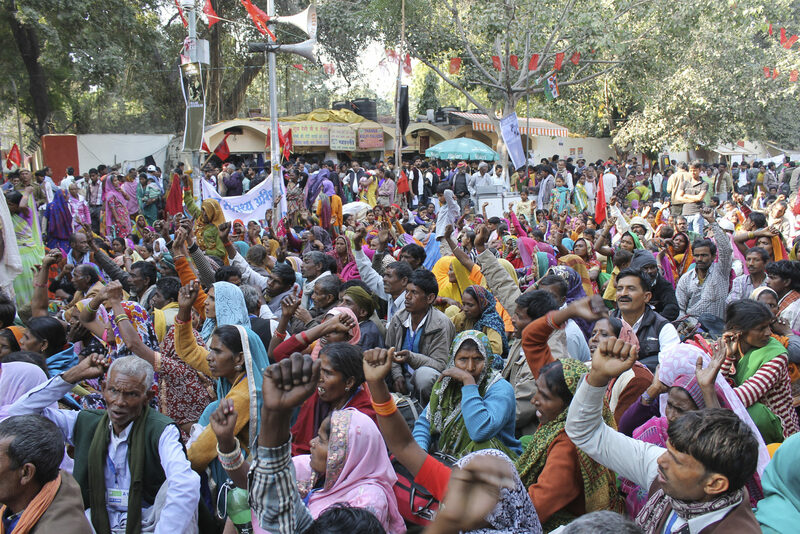 Photograph ‘Demonstration in Deli’ by Daniela Del Bene:Thousands of people from across India gathered at Delhi on 2 December 2014 as part of a convergence to protest the unjust and undemocratic decisions of the Modi government on issues of land acquisition, forest rights, health, agriculture, education and land. 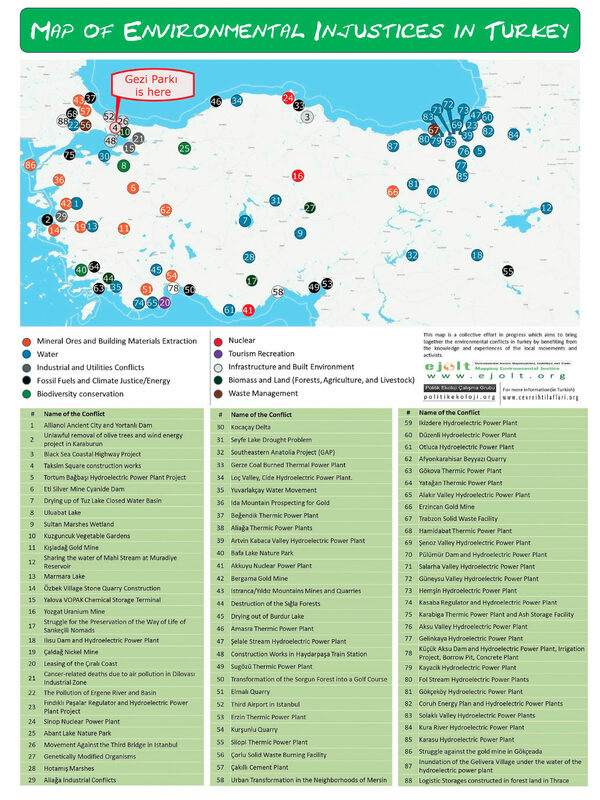 Map right column: Poster of the Turkish map of Environmental Justice, printed to be displayed in Gezi Park. Castells, M. 1997. The Information Age. Oxford: Blackwell Publishers. Knowledges for a Decent Life. Lanham: Lexington Books. Ekwurzel, B., Boneham, J., Dalton, M.W., Heede, R., Mera, R.J., Allen, M.R. & Frumhoff, P.C. 2017.The Rise in Global Atmospheric CO2, Surface Temperature, and Sea Level from Emissions Traced to Major Carbon Producers. Climatic Change, 144(4): 579-590.